David A. Gray has over 35 years in upstream oil & gas. 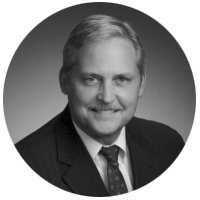 He has deep operational experience with over 20 years in executive management roles with oilfield service organizations – both large integrated companies and smaller, high-growth companies. He has field and management experience in North America, Middle East and Asia; his technical expertise spans the oilfield life-cycle – formation evaluation, drilling, completions, production and intervention. David held global leadership positions in operations, business development, strategic marketing and new product development. He has always focused his energy on driving strategic growth through implementation of innovative business processes and value-adding technology. David participated in and led many strategic initiatives as an internal “change-agent” and as an external consultant. He was instrumental is driving measurable improvement in the following areas: field operations management best practices, global strategic planning, new product development & commercialization, post-acquisition organization integration, strategic account management, salesforce effectiveness, and strategic pricing. David has served as president of the Houston chapter of the Product Development & Management Association, is certified NPDP and has been a featured speaker on portfolio management and team dynamics.